This card was made for a very lovely friend of mine who i have been speaking to for a fair few months now. I love to have a good old natter about anything to do with crafting! 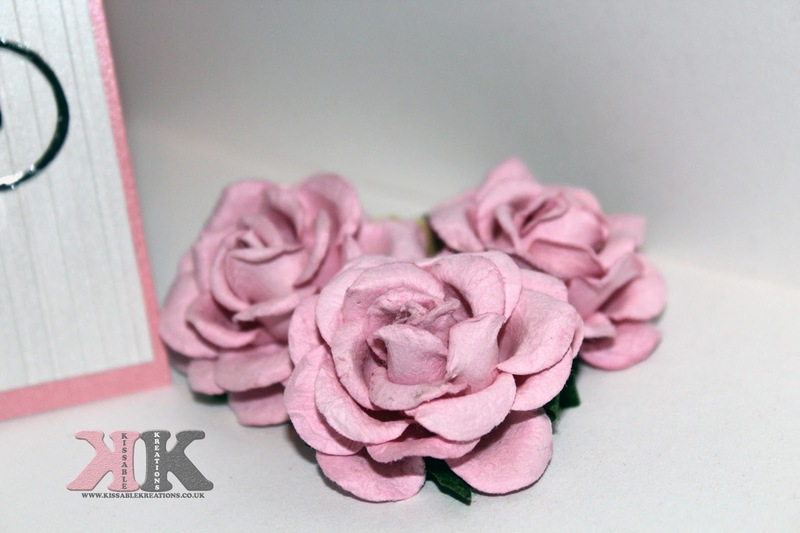 Its very simple using some lovely vellum flowers that i purchased from a store last year. Needless to say i cant find out where i bought them from but im in the process of trying to figure out how to make my own. The embossing folder is an all occasions embossing folder also well know as 'That Folder'. 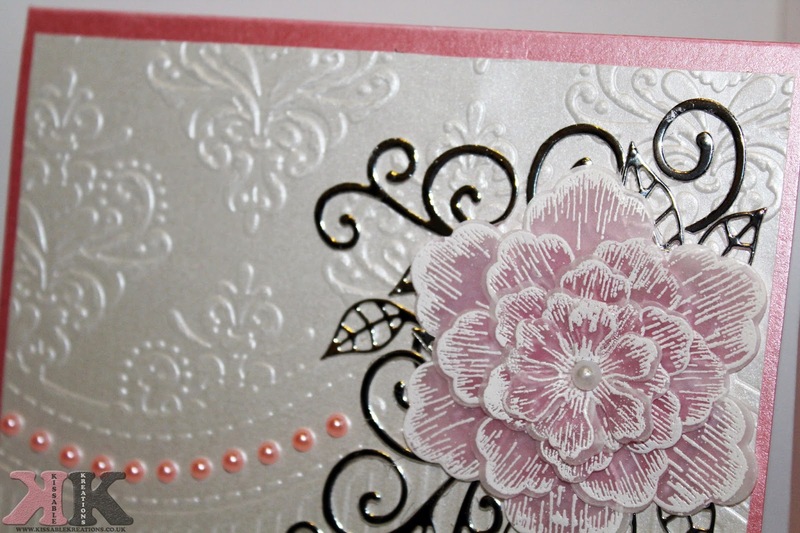 I embossed some pearlescent card and then stuck some lovely pearls on just to give it that extra elegance. Im really loved how this turned out and im hoping to use this embossing folder in may different creations. Ill also be using it in 'Male' style cards to be sure to look out for that. All in all i feel that this folder alone would make a card look wonderful but with just that extra added bits it looks perfect and very feminine. I'm totally with you when it comes to loving pink!